The small harp has been played throughout the world for thousands of years. The musical style in this manual is based on the principles of harmony within ancient music, as taught by Pythagoras, the 6th century BC Greek philosopher. A structured format of both composed and intuitive harp music are taught, providing an opportunity to learn through exploration of the strings. No musical experience is required. Audio music files are provided for you to play along with. 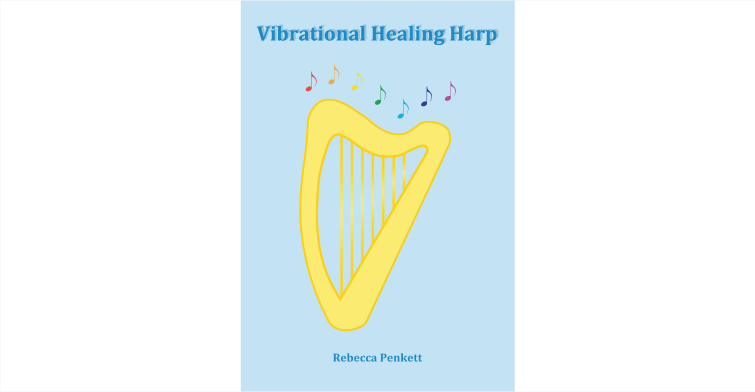 Learning to play the harp intuitively is a healing experience, which enables the release of stress and anxiety in the process of clearing subtle energetic pathways. This enhances intuitive connection and the ability to play the harp intuitively. Throughout time, the harp has been closely connected with spirituality and healing and has been described as creating a bridge between the physical and non-physical worlds. The instrument has captivated mankind with evocative sounds, creating music to reconnect us to our spiritual roots. Pythagoras believed that music, when used properly, greatly contributed to health and that dissonant sound detrimentally affected all life. He prescribed different pieces of music, known as Musical Medicine, for patients as remedies for physical, emotional, mental and spiritual ailments. Through music, Pythagoras transmuted imprints from negative experiences to restore health and is quoted as saying: “Music heals”. Modern studies show that people experience less fear and anxiety after harp therapy and patients have had their pain relieving medication reduced. Intensive care unit monitors have displayed decreased heart rates and increased oxygenation levels when soothing harp music is played. Dementia and Alzheimer’s patients have been able to access memory through harp music. Playing harmonious music in the natural environment can also be healing because it encourages reconnection and harmonisation with nature. Scientific research has demonstrated that memory is stored within the body’s cells and may be conscious or subconscious. In health, the subtle energy flows throughout the chakra system to the cells of the body. However, following trauma or an accident, there is a reduction in this energetic flow, leading to an imbalance, which can surface as localised pain or discomfort. Playing harmonious harp music can aid the release of cellular memory imprints. A free sample of the manual is available by clicking the link above.